A granular powder premix for administration in feed to pigs, chickens and turkeys as a broad spectrum anti-bacterial. 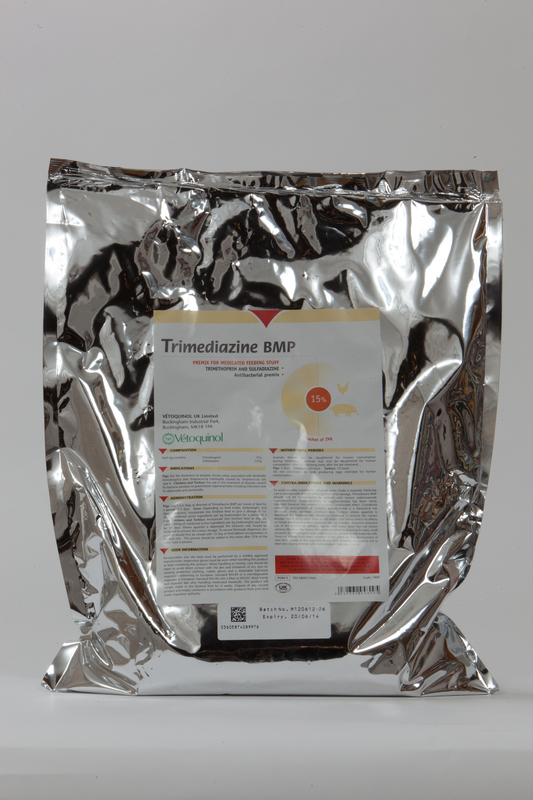 Trimediazine contains Trimethoprim and Sulfadiazine. For the treatment of bacterial infections in horses.